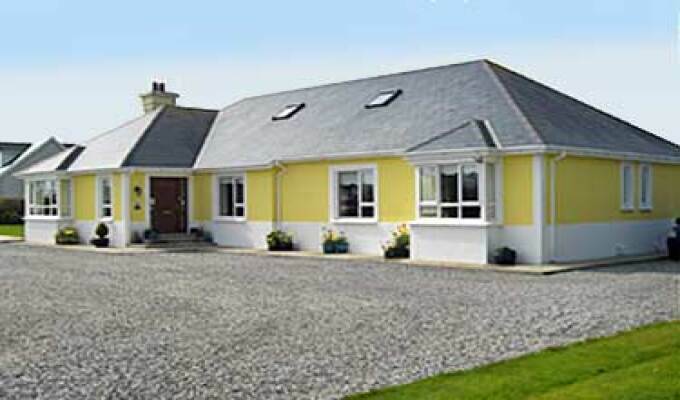 Ashley Lodge is a comfortable, modern family-run home which offers B&B Accomodation situated near Tagoat, close to Rosslare Harbour Ferry Port in Ireland. Situated in the Wexford countryside, close to the N25, It's proximity to Wexford Town makes it an ideal place to stay either for a break or as a base while touring the many amenities of the 'Sunny South East'. The location is also perfectly suited to anybody intending to catch early morning ferries at Rosslare Europort which is just minutes away. Hosts Margaret & Martin Day look forward to welcoming you. From Rosslare: Take the N25 heading for Wexford. After approximately 5km you will enter the village of Tagoat. Turn left onto the R736 (signposted Bridgetown) and proceed for 400 metres. Ashley Lodge is on the right. Top quality b&b, highly recommend. Very welcoming and helpful host - only stayed one night before catching ferry, but would highly recommend.